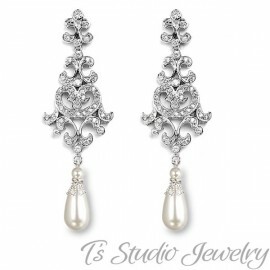 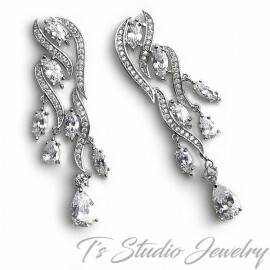 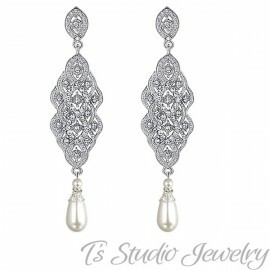 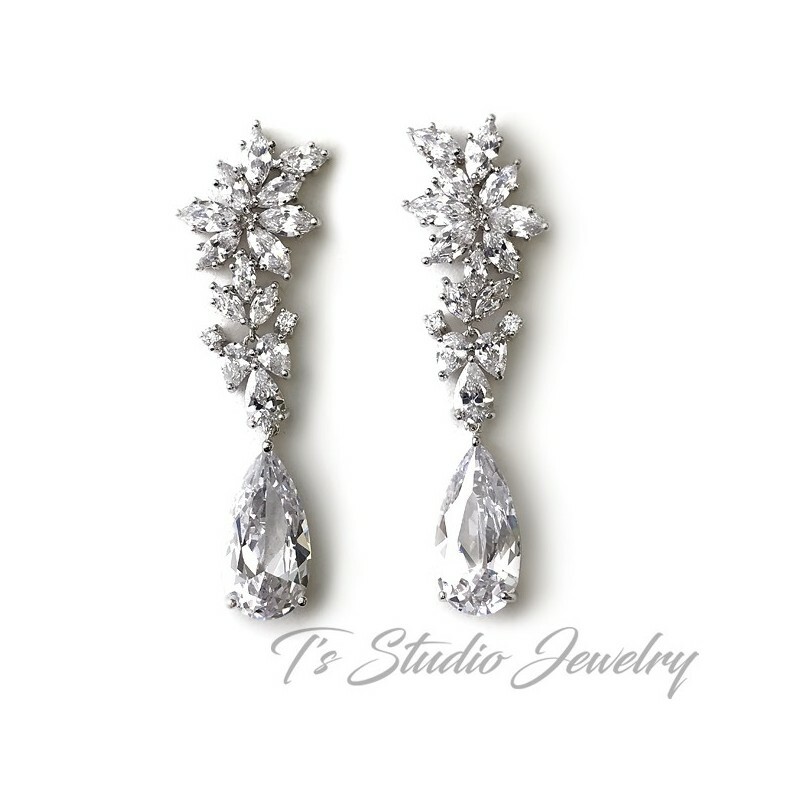 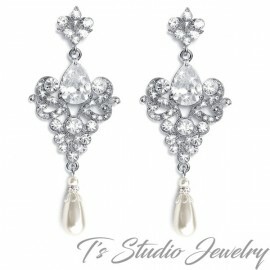 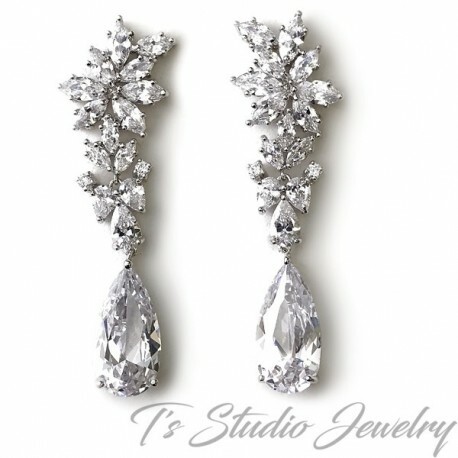 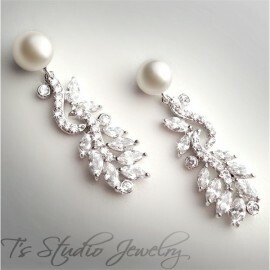 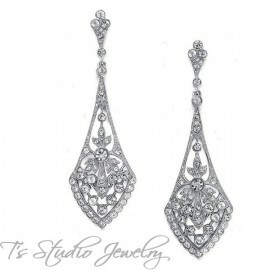 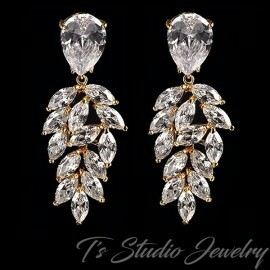 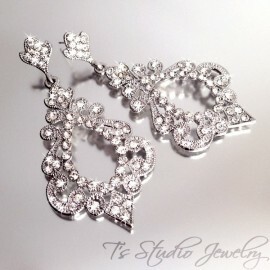 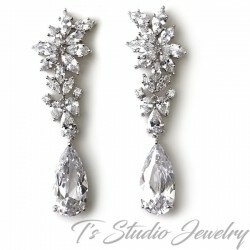 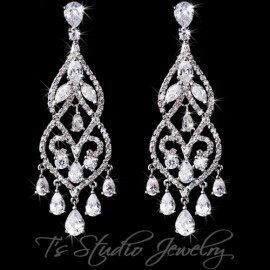 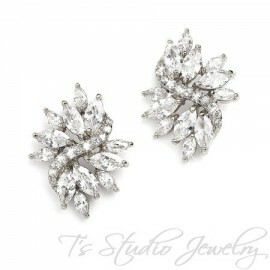 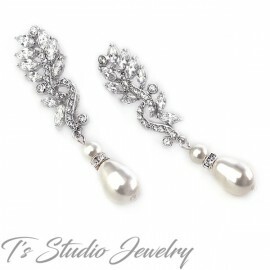 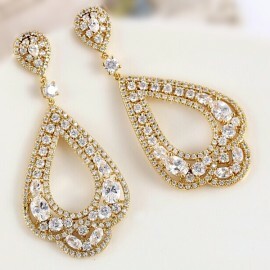 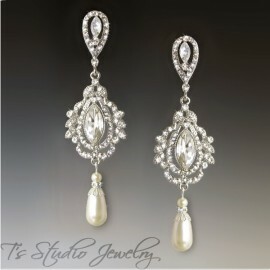 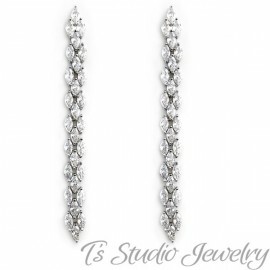 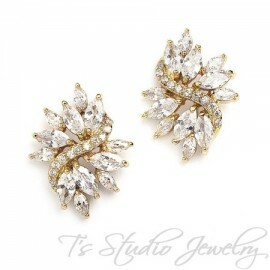 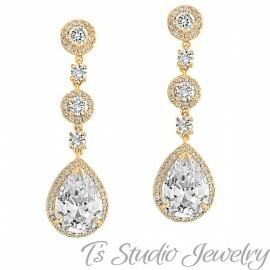 Make a statement with these gorgeous cubic zirconia chandelier earrings. 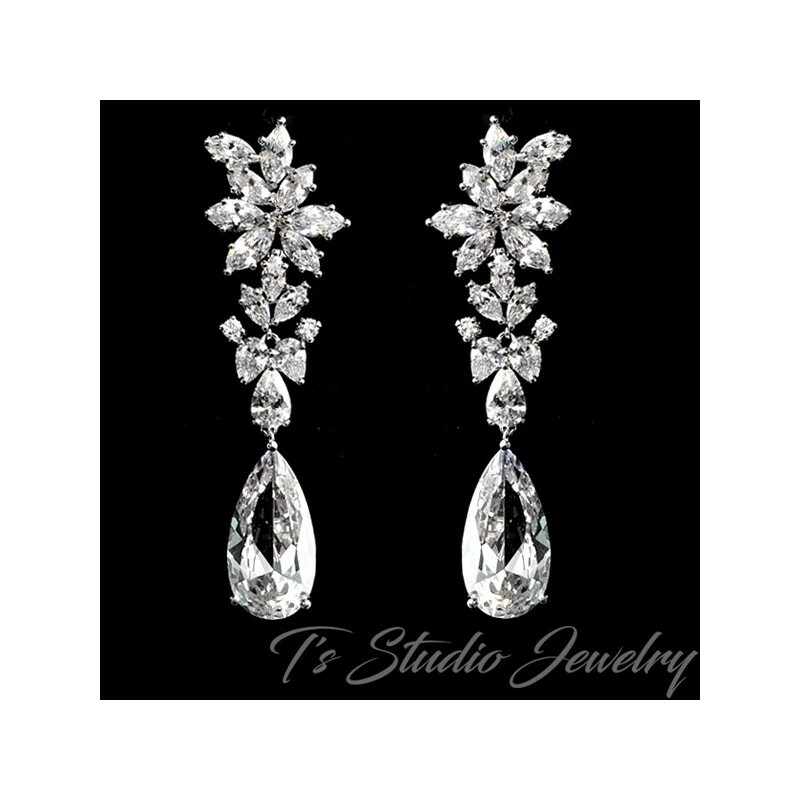 Perfect for a wedding gown, or any evening dress, they are made with marquise shaped CZ crystal stones set in a rhodium silver plated base. 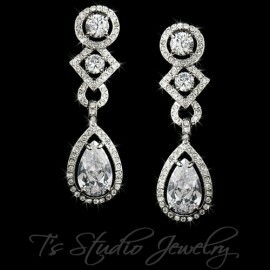 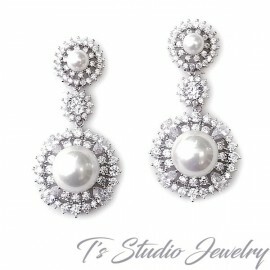 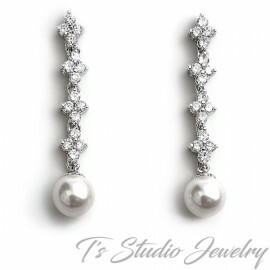 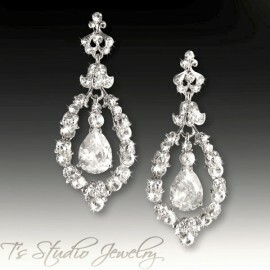 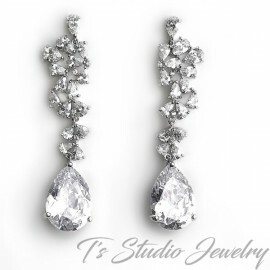 A sparkling teardrop shaped cubic zirconia stone dangles at the bottom.